Steve Jobs would have turned 62 last week, and among many of the quite revolutionary things he said, in this case near the end of his time, was that the PC era was over. He imagined iPad would embody its replacement. However, Macs are still selling in large numbers, although sales aren’t growing, while iPad plateaued a couple of years back and has been sitting at the same level. In fact, all device sales have plateaued; the point is Mac sales took a whole lot longer to level out. So today, it looks like iPads haven’t replaced Macs, and although some people use them as their primary devices, they tend to accompany rather than to replace, at least for users with needs beyond the superficial. For those who only browse, email/message and read, iPads are ideal tablets. For those wanting to do serious work, it really depends on the work. Apple’s beefy, powerful iPad Pro is really just an untethered Cintiq-style drawing device. 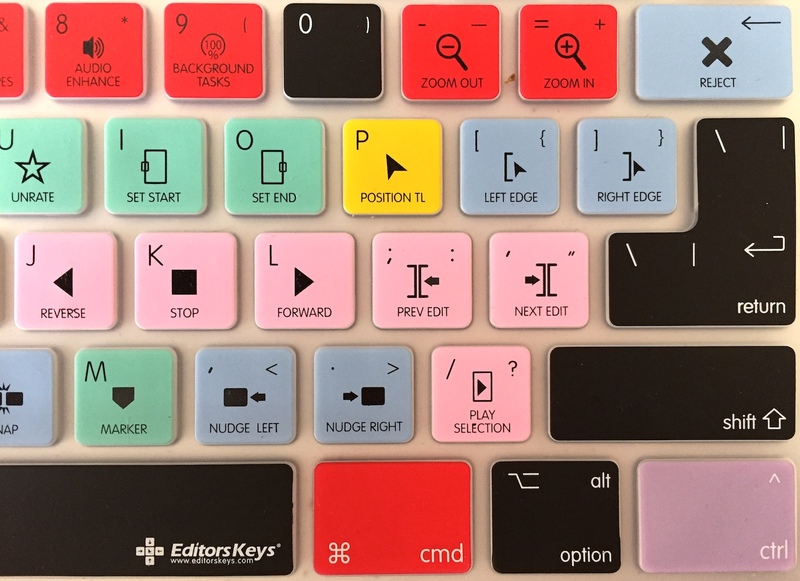 Sure, you can also browse, email/message and read, and you can conceivably rough-out a sound or film project, but serious users will soon end up on a PC of some sort because the manipulation, although direct (via fingertips and maybe a stylus) on a tablet, still lags behind what’s possible with a keyboard and mouse/trackpad/etc. 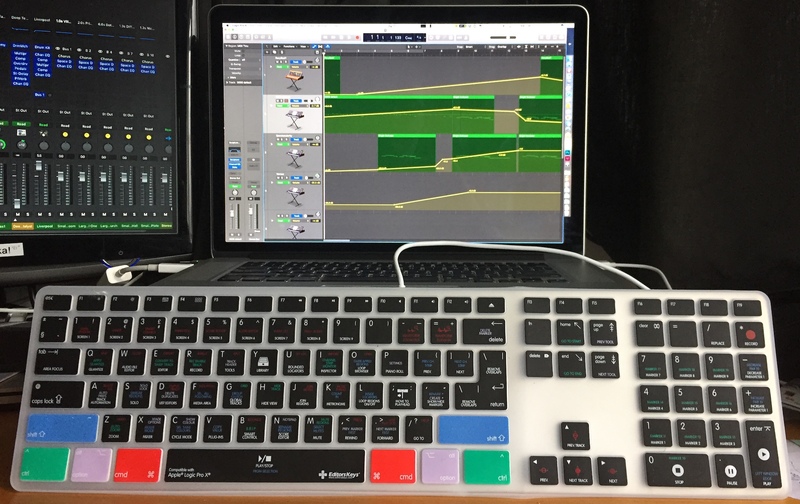 As soon as you start adding physical input devices (apart from the Pencil) to iPads, well hell, you may as well have a Mac and be done with it. It’s the portable Macs that have really worked for Apple. As Apple Insider points out, If you’re still wondering why Apple hasn’t updated its desktop Macs (the mini and Pro), their relative importance to Apple’s revenues certainly plays a factor. Apple sells truckloads of portable Macs, and comparatively few iMacs and even less of the overpriced, underperforming Mac Pros. Many think the Mac Pro will soon disappear altogether, especially since it needs a monitor as a separate purchase, and Apple’s nomination for that vaunted position, in place of its own overpriced but excellent monitor, is the very troubled LD UltraFine. This sounds doom and gloom, but the fact remains the large iMac is all-round wonderful: beautiful, powerful and with a truly excellent display. Most videographers and audio engineers are more than happy to work on these, and they’re saving money. Apple could do a lot to make these even better, if the Pro gets the heave-ho. Gloom and doom? I don’t think so. It’s easy for me to sound sour in these columns, but around the time Apple releases a great new iPhone, we could also be getting Kaby Lake MacBook Pros, awesome new iMacs and an iPad revision. To me, that’s good times and lots to look forward to. 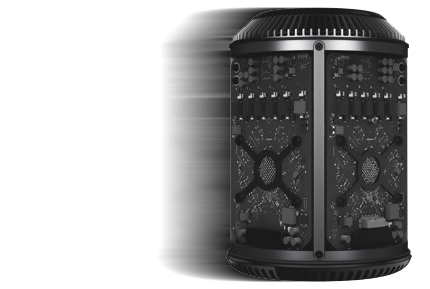 I won’t be missing the Mac Pro, and most pro users have abandoned these long ago anyway, for cheaper faster PCs. They might be pleased to come back to Mac just for the superior operating system. Original iPhone, 3G, 3GS still in active use, 2016 web traffic report reveals — Older iPhones are still in use despite their age, according to a report on mobile Internet usage, with the original iPhone 3G, and 3GS all highlighted in traffic monitoring research for 2016 that compares the use of Apple devices against other manufacturers in the smartphone market. Australian smartphone market bounces back as Apple drives 14% year-over-year growth — Following six straight quarters of year-over-year decline, the Australian mobile phone market returned to growth as it shipped 2.93 million mobile phones in quarter four of 2016, as compared to 2.84 million the same time the previous year representing a 3.2% year-over-year growth. SanDisk offers 256GB of extra storage for iPhones and iPads — Western Digital Corporation has increased the capacity of its line of iOS mobile flash drives with the introduction of its 256GB SanDisk iXpand Flash Drive and 256GB SanDisk Connect Wireless Stick. The former is a mobile storage device designed to help people quickly and easily free up space on their iPhone and iPad. Apple & SAP to deliver Cloud Platform SDK for iOS on March 30 — Enterprise software giant SAP on Monday announced that its upcoming Cloud Platform SDK for iOS, developed in cooperation with Apple, will officially be released on March 30. Apple is number two on the Top 20 [British] Business Superbrands for 2017 — Apple came in ninth on the Top 20 Business Superbrands for 2017 list, a survey of marketing experts and thousands of British business professionals. 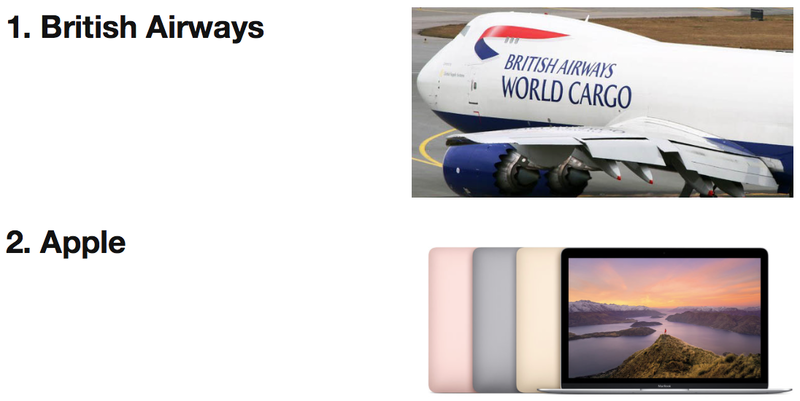 British Airways claimed the top spot. BA outperformed nearly 1500 others in the sixteenth annual poll, with Apple retaining second spot. Rounding out the top 10 are PayPal, Google, Microsoft, Visa, Virgin Atlantic, MasterCard, and BP. Mail Converter is a useful email migration tool for macOS — Switching from one Mac email app to another: Stellar Data Recovery’s Mail Converter is an all-in-one email migration utility for macOS (10.7 and higher) that lets you migrate your emails from one platform to another. Stellar Mail Converter is available as try-before-you-buy software from Stellar Data Recovery online. This version will show you the preview of converted mails. To access all features, you pay for the full version atUS$49.99 (about NZ$70). Last chance to get an AWT deal on a VPNSecure lifetime subscription — One of the most popular deals over the past several months has been for a lifetime subscription to VPNSecure for just US$39. All good things must come to an end, and that’s the sad situation we have here today. Don’t miss a chance to get this killer deal (US$450 value) for less than a tenth of its regular price. How to manage downloads in macOS Sierra’s Safari — In macOS Sierra’s Safari web browser, you can choose where downloaded files are deposited. By default they’re located in your Downloads folder. Mobile games generated more than twice as much as home console games last year — Mobile app data and insights company, App Annie, and the International Data Corporation (IDC) research group have unveiled a special joint report entitled, Gaming Spotlight, 2016 Review. The report analyses the mobile video games market in 2016 from several vantage points and puts it in a broader, global gaming industry context. Spending on iOS games was significantly higher than the Google Play total. 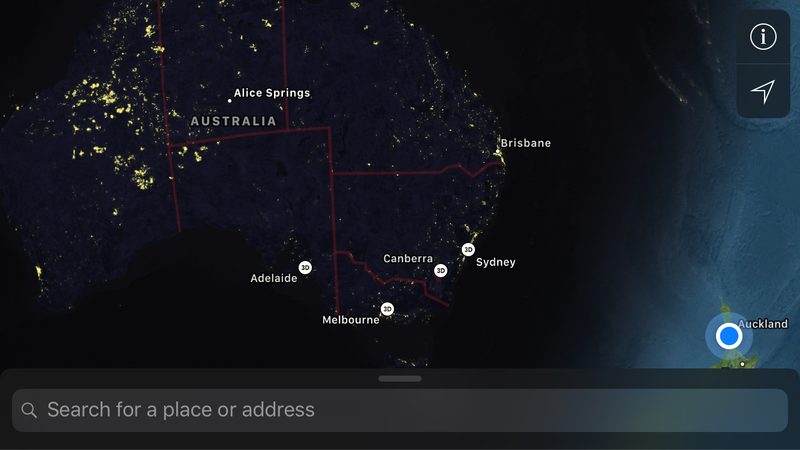 App automatically notifies people of your trip progress — I’m Coming is a GPS-based app that automatically sends updates to people letting them know how far away you are. If you’re driving across country to visit your family, I’m Coming notifies the people you designate on your progress, meaning no texts to and from you are required while you’re driving. Your family doesn’t have to bug you or wait for you to let them know where you are. Or, you’re driving across town for an important meeting. Same thing, rather than (illegal) texts in the middle of city driving, I’m Coming will notify your peers. 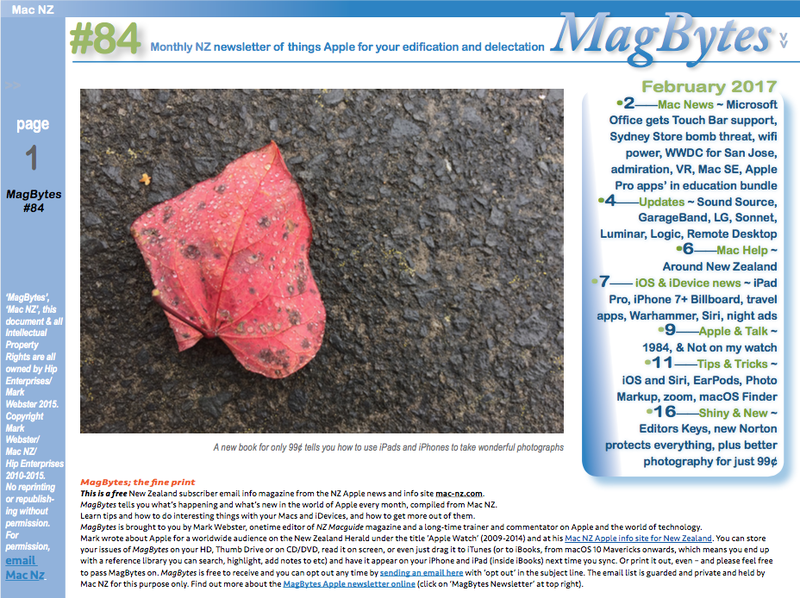 This app was developed by Don Kimenker – long-term Mac fans might remember him as the publisher of MacAddict magazine. 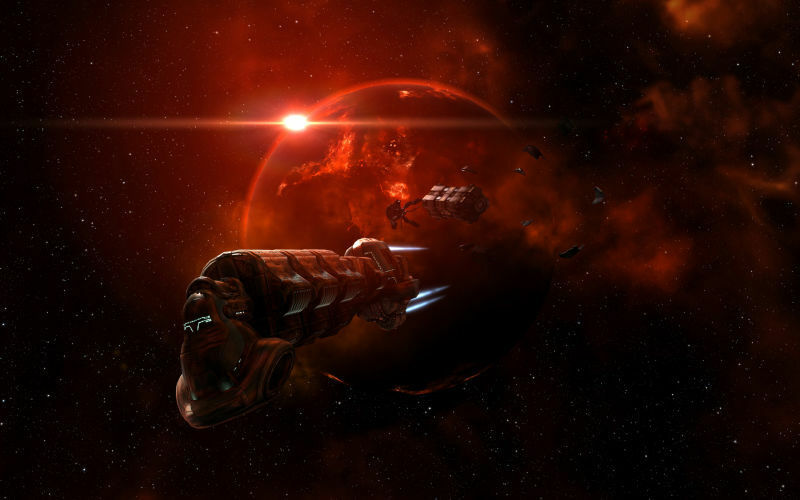 The app is a free download, but some features require an in-app purchase of US$2.99. iTunes Remote app gets two-factor authentication support — Apple released a new update for the iPhone and iPad iTunes Remote app on Thursday that adds two-factor authentication support when signing in to Home Sharing. The 4.3.1 update enhances security when remote controlling iTunes on our Macs because who decides which songs we listen to is seriously important. Stanford’s ‘Developing iOS 10 Apps with Swift’ is free on iTunes U — iTunes U pushed a version of Developing iOS 10 Apps with Swift. The free iOS tutorial series from the Stanford School of Engineering has been updated for iOS 10 and the current version of Swift. Reader Rick Allen turned me onto this release, calling it, “a great and free resource,” which seems like a great reason to pass it on. Reviews on iTunes are overwhelmingly good, too. Apple: iOS 10.2.1 fixes bug causing some iPhones to experience — Apple says an iOS point update (10.2.1) that was released last month includes a bug fix for an issue causing iPhone 6, 6s, 6 Plus and 6s Plus device owners to experience unexpected shutdowns. 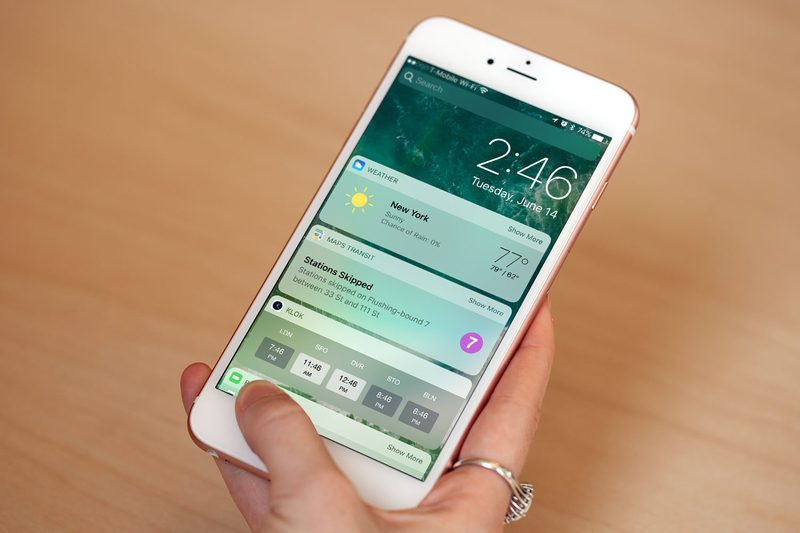 In a statement provided to TechCrunch, Apple says that the iOS 10.2.1 update has resulted in an 80% reduction of unexpected shutdowns on the iPhone 6s and a 70% reduction of unexpected shutdowns on the iPhone 6. Turn Siri into a metronome — Drummer Richy Ramirez posted a video to Instagram where he used Siri as his metronome. Actually, he used her as both metronome and backing track. It’s clever and entertaining. How to cancel an App Store subscription using your iPad or iPhone — If you’ve subscribed to a service such as Netflix or Spotify through the App Store, and are now looking to terminate your subscription, it takes just a few simple steps to cancel. AppleInsider shows you how. New Mac ransomware leaves your files permanently encrypted — Mac users hoping to score Adobe Premiere Pro CC and Microsoft Office for free through BitTorrent sites are in for an ugly surprise thanks to a new ransomware making the rounds. The ransomware, called OSX/Filecoder.E, encrypts the contents of victim’s hard drives and demands payment in Bitcoin, but there isn’t any way to actually decrypt and recover files. Apple and Silicon Valley struggle to navigate Trump’s waters — In the weeks since his inauguration, there has been much discussion about President Trump’s relationship with the media. Rightly so. Media is not alone in feeling the affects of the chaotic political climate that we are currently experiencing. The ramifications are also clear in tech, where companies have struggled to balance politics and business, even as the two intersect one another like never before. Can WALTR 2 really be your iTunes replacement? iTunes is a mess. It’s bloated, but it’s all Apple gives us (on the Mac) to load media onto our iPhone, iPad, or iPod touch. One problem is that iTunes limits the audio and video file formats we can upload. 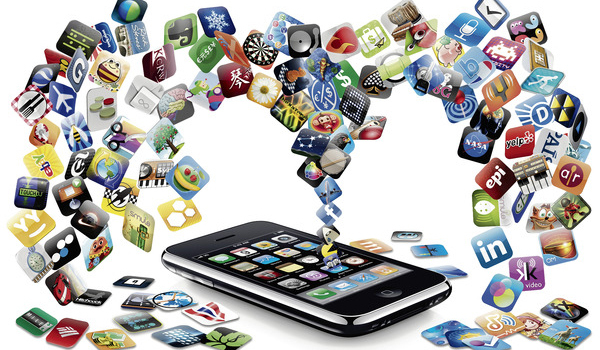 Many of us continuously look for other apps to help us transfer our media files to the iPhone and other iDevices. WALTR is one that Jeff Gamet has tried and recommended, and that app is now in its second version with new features. How well does it work as an iTunes replacement? Dissecting a phishing email — Phishing is a form of social hacking; the hackers try to get people to divulge their email addresses, passwords, and other key information by sending out fake emails that are usually from email addresses in Russia (sorry, Russian readers, but it’s true…). Steven Sande unpacks a phishing email and tells us how it tries to do its evil work. Stop Facebook’s emotional manipulation with this tool — Every time you use Facebook’s new Reaction emoji, you’re providing the company with a greater insight into your emotions. With this addition to Facebook’s data collection, advertisers can build a better profile to target you with ads. Facebook could even carry out more emotional manipulation experiments. But there is a new way to defeat this kind of surveillance with a browser extension called Go Rando by Benjamin Grosser. 1/ Quick website search in macOS Sierra’s Safari — In macOS Sierra’s Safari, you can enable Quick Website Search thanks to many websites offering their own integrated engine for searching within sites. Safari provides shortcuts to these searches in some cases, allowing you to search said sites directly from the Smart Search Field. To see which sites your Safari installation currently supports for this feature, click on the Manage Websites button. However, some sites don’t support this feature. Open Safari’s preferences from the Safari menu, then Search > Quick Website Search > Manage Website. From here, you can list which sites to exclude. 2/ Managing tabs — In Safari, you can create and open multiple tabbed windows so you can load more than one search result at a time, for example, or load a link alongside the link you are currently looking at. You can rearrange how they’re ordered, close them, or save a group of tabs as a bookmark that you can reopen all at once. To add a new tab, press Command+T or click the plus sign at the far right of the Tab bar, or click a link with the scrollwheel if you have a scroll wheel mouse (yes, it clicks as well asa scrolls), or hold down the Control key on your keyboard, click a link on a page and choose Open In New Tab from the pop-out menu that appears . To close a tab, move your cursor over the tab above the main web page window, and click the little X that appears on the left. 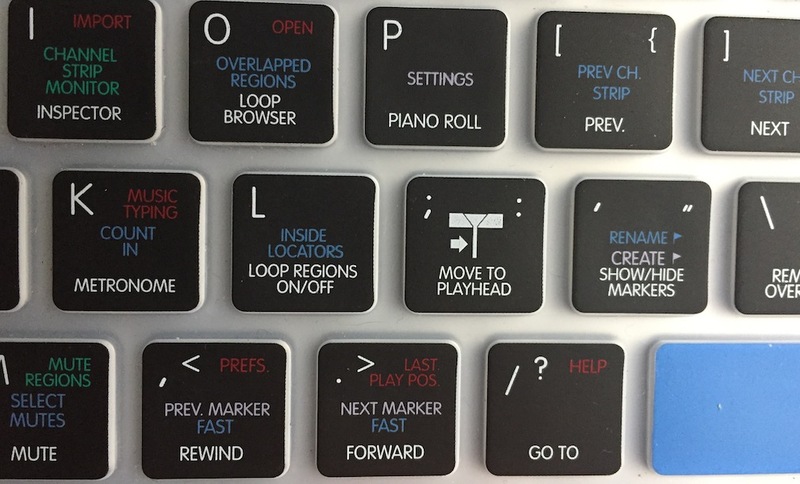 3/ To jump from tab to tab — Press Command+Shift+→ (right arrow) or Command+Shift+<– (left arrow – these keys are at bottom right of all Mac keyboards. 4/ Rearrange tabs — You can drag and drop a tab to the left or right of another tab to rearrange their order. To move a tab to a new window. drag it underneath the Tab bar, then let go of your mouse button. Or you can right-click a tab and choose Move Tab to New Window. 5/ Save tabs as bookmarks — You can save every open tabbed window as a bookmark. Right-click any tab (or hold down that Control key and normal-click; or click the Bookmarks menu) and choose Add Bookmark for These Tabs. You can also save the articles of every currently loaded tabbed window in the Reading List. Right-click any tab (or click the Bookmarks menu) and choose Add These Tabs to Reading List. Extra: Pin and Unpin tabs — Pinning a website puts the site’s icon in the top left section of the Tab bar (indicated above), allowing you to pull up the site with a click. Pinned tabs are persistent across all Safari windows, even when you quit the web browser. Pinned tabs sync content across windows, including video. If you right click on a pinned tab, you can close all unpinned tabs. Here’s how to pin a tab: from the View menu, select Show Tab Bar. Navigate to one of your favourite web sites, such as (ahem) AppleWorld.Today. Right-click or control-click the tab bar, and select Pin Tab from the pop-up menu that appears. The current web site will be added to the pinned list, which is located at the far left edge of the tab bar. To remove a pinned web site, make sure the tab bar is visible and right-click or command-click in the pin for the web site you wish to remove. iOS 10 now installed on 79% of Apple’s mobile devices — A little over 5 months after the update’s release, iOS 10 had made it onto 79% of iOS devices, according to official Apple statistics shared with developers. Instagram’s iPhone app adds support for uploading multiple photos & videos in one post — Facebook’s Instagram on Wednesday announced support for uploading up to 10 photos and videos in a single post, potentially radically changing how people use the social network. How to make your Apple Watch battery last longer — For some heavy Apple Watch users constantly checking their wrists, Apple’s wearable device may not quite provide the 18-hour battery life the company advertises. For Apple Watch addicts, AppleInsider offers a handful of simple things you can do to squeeze some extra time out of your battery. Steve Jobs was born 24th February 1955 (image from KRW). Apple condemns Trump withdrawal of transgender bathroom use protections — Apple on Wednesday issued a statement in response to President Donald Trump’s recent withdrawal of federal protections for transgender students, condemning the action as an effort that sets back human rights initiatives. 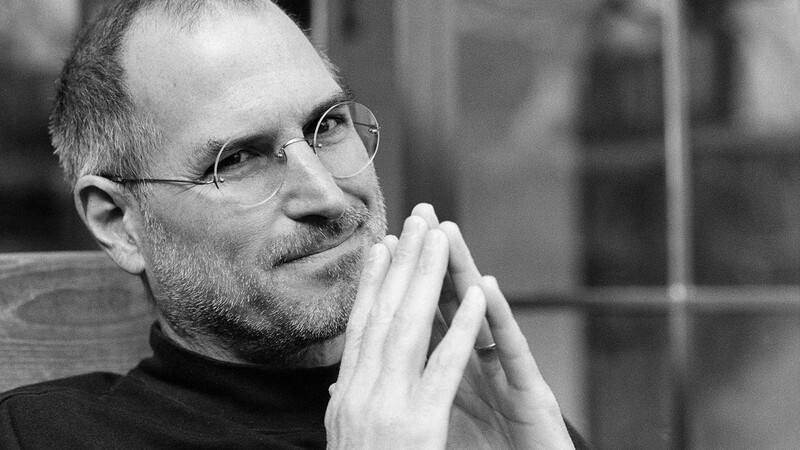 Steve Jobs was born this day in 1955 — That’s 24th February (I’m in New Zealand, so we’re a day ahead of most places). B-Eng giving away a free Password Manager tool for macOS — B-Eng has introduced Password Manager, a free new password managing tool for macOS. It lets your organize passwords in groups with individual lists for each group, the creation of templates for both groups and entries and protection with either a master password or fingerprint for Macs that support Touch ID. Returning to the US with iPhone? 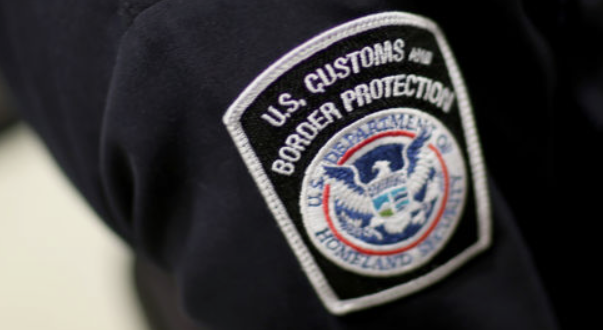 These are your rights — When returning to the US from travel, border agents may select you for various reasons for a more detailed questioning. Your smartphone may be requested. You may be asked to unlock it for agents to inspect. What are your rights in this case? Two interesting articles at The New York Times and ars technica go into considerable legal detail about what might happen if you refuse to cooperate. One Night iPhone ads — Apple launched five new commercials through its YouTube channel this week. Four of them are part of the Shot on iPhone series and take us on One Night tours of New York City, Johannesburg, Shanghai, and Tokyo. Each commercial is comprised of stills and videos from their respective cities, theoretically taken over one night. IK Multimedia iRig Recorder 3 video/audio editing app for iOS — IK Multimedia has released a new version of iRig Recorder, its video and audio editing app for iOS. iRig Recorder 3 (free version available and full version for $/€7.99) has expanded from an audio-only app with the addition of video recording. A unique feature of iRig Recorder 3 is its ability to export recorded content as separate files for editing in a DAW or other other third-party video editing software. The app also supports sharing through Airdrop, Messages, SoundCloud, Facebook, WhatsApp, Dropbox, Google Drive, Microsoft OneDrive, email, Wi-Fi, FTP or iTunes File Sharing in a huge number of sizes and formats. Hidden Folks — This is a clever hidden object game with its own charm thanks to the hand-drawn graphics and sound effects, which are important to the game, as are the little animations. Tapping objects triggers actions sounds and actions. Sometimes that’s clearing away a bush or moving a boat, and can reveal the elusive objects and characters you need to find. Hidden Folks is great for a quick diversion or a couple hours exploring new levels. You can get it for your iPhone and iPad at Apple’s App Store for NZ$5.99/US$3.99. Game of Thrones A Dance with Dragons iBooks Enhanced Edition on preorder — Apple’s iBooks Store added the Enhanced Edition of George RR Martin’s A Dance with Dragons last weekend for preorder. It will ship on March 30th, and includes new artwork, an expanded glossary, more information about the houses, maps, and more. Apple Campus to open in April — [But first of all, sorry there was no news yesterday, I had to get up at 5am and fly to Featherston to record some interviews with a historical TV series.] 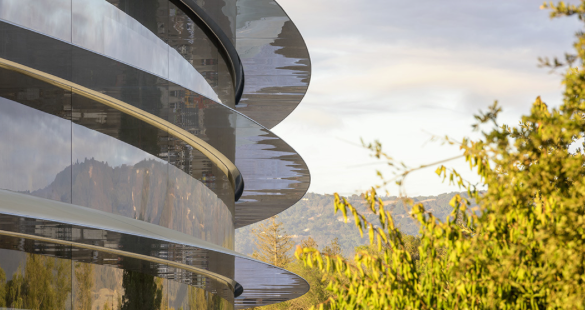 Apple Park, the official name for Apple’s new spaceship campus, is set to open for employees in April. The campus will hold 12,000 employees, and the on-location theater has been named the Steve Jobs Theater. It’ll take about six months to move in the facility’s 12,000 employees and construction will continue on campus buildings and landscaping during the transition. The buildings and surrounding land covers 175 acres in down town San Jose, California. Logic Pro X update — Apple has released Logic Pro X 10.3.1. The update includes a security fix for maliciously crafted GarageBand files. It also improves the way regions perform, edits, and the ability to share 44.1kHz projects to GarageBand for iOS. Discount on microphones — EditorsKeys has a £10 discount running on all its top-quality mics for newsletter subscribers. Free site speeds up your typing — One productivity enhancement nobody can argue with. Apple updated Apple Remote Desktop to version 3.9 — The update adds support for the Mac Book Pro’s Touch Bar and features the ability to export computer lists, while improving security. What’s the status on LG’s UltraFine 5K monitor? After receiving reports of connectivity issues related to LG’s new UltraFine 5K monitor, and confirming those problems with LG, Apple temporarily suspended sales of the display earlier this February. With ship times slow to improve, AppleInsider explains what’s going on in a video.